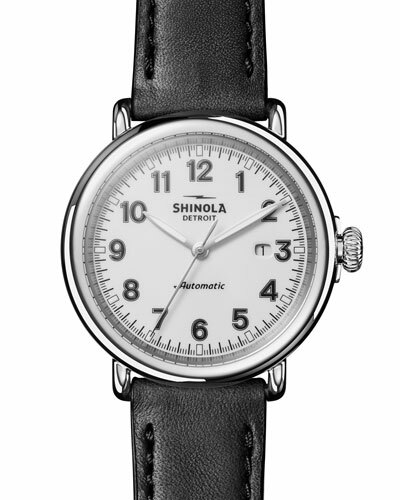 Founded in 2011, Shinola is a brand noted for its high-quality products that are built to last. 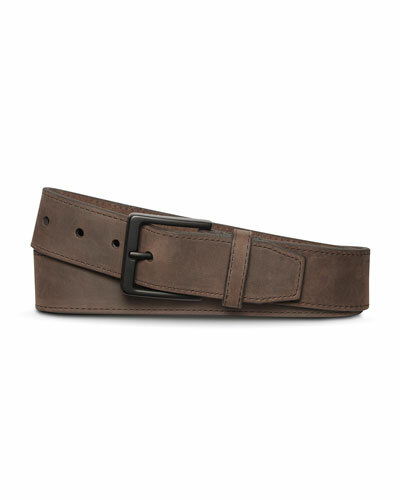 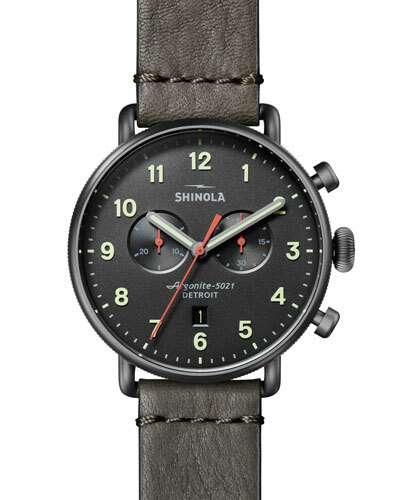 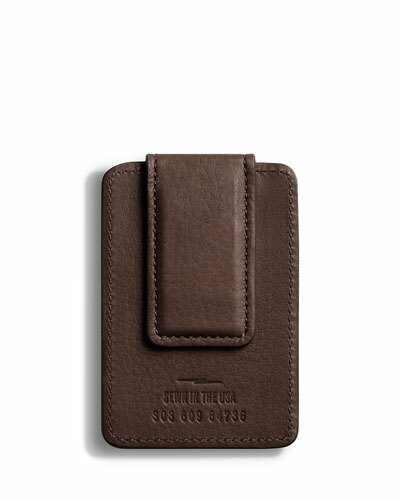 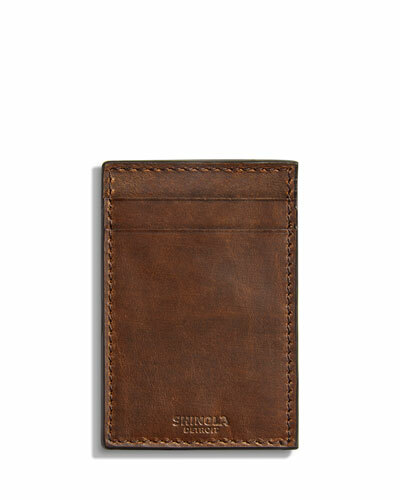 The men’s collection features a variety of luxury Shinola Runwell watches, tech accessories, and leather products. 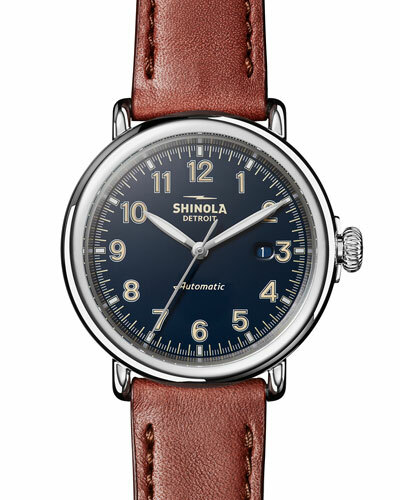 Shinola offers a diverse range of products ranging from duffle bags and belts to white oak wood turntables with an integrated amplifier. 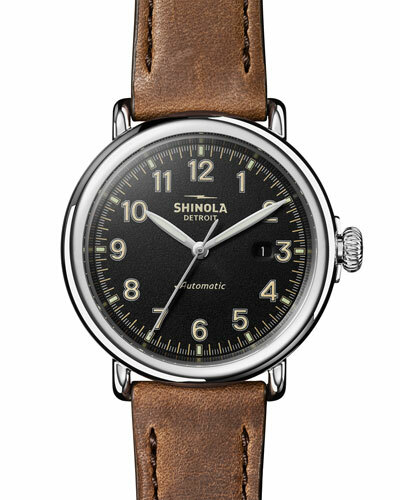 Shinola men’s watches are carefully assembled in Detroit using the finest imported parts from Switzerland. 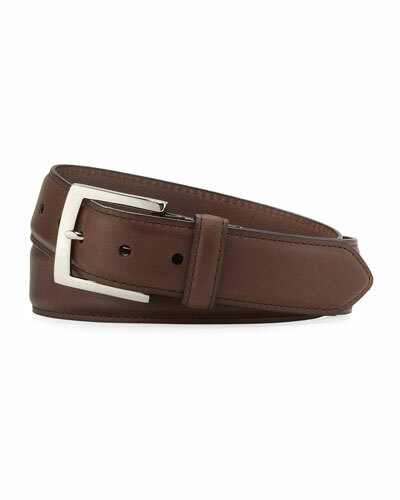 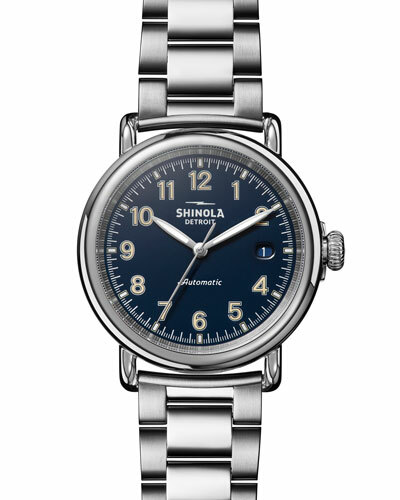 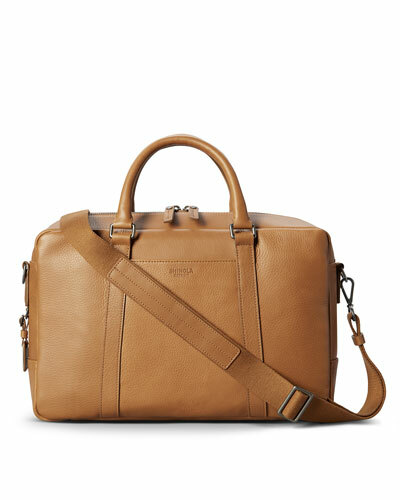 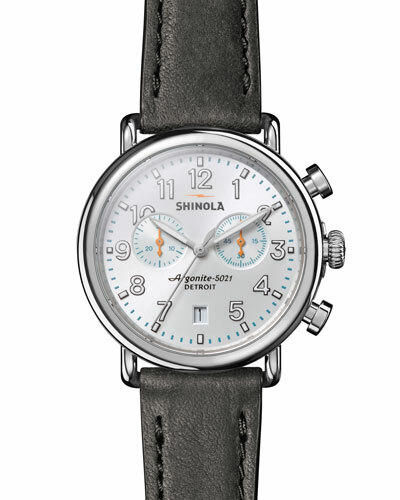 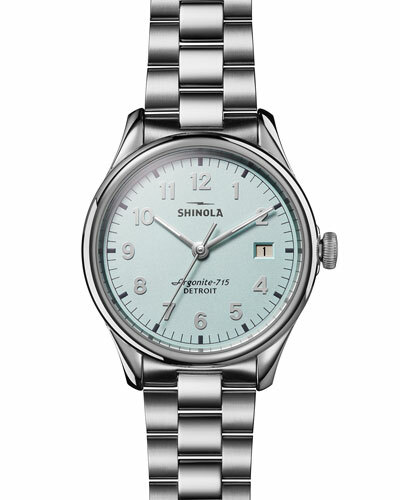 Neiman Marcus offers a great selection of the Shinola men’s collection.